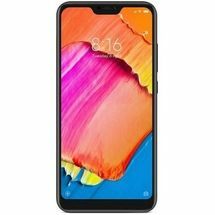 Buy Redmi Note 5 Pro At The Phone Store Mi Mobile Showroom in Bangalore - the elegantly designed smartphone that comes with a powerful Snapdragon 636 processor, which outperforms its predecessor by up to 40%. From capturing enchanting pictures with the dual rear-camera setup and an amazing 20 MP front camera, to watching videos and playing games on the FHD+ display, this smartphone ensures you never have a dull moment again. 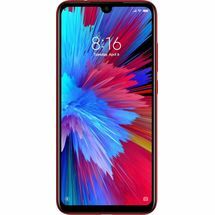 Meet the Redmi Note 5 Pro - the elegantly designed smartphone that comes with a powerful Snapdragon 636 processor, which outperforms its predecessor by up to 40%. From capturing enchanting pictures with the dual rear-camera setup and an amazing 20 MP front camera, to watching videos and playing games on the FHD+ display, this smartphone ensures you never have a dull moment again. Specially designed to spread corner-impacts, they prevent damage to the screen, increasing durability and longevity. By including a dual graphene sheet, the device-temperature is reduced when the phone’s functioning, which improves the overall performance. 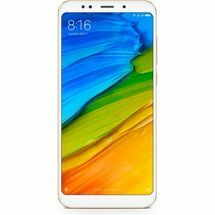 Buy Redmi Note 5 Pro At The Phone Store Mi Mobile Showroom in Bangalore - the elegantly designed smartphone that comes with a powerful Snapdragon 636 processor, which outperforms its predecessor by up to 40%. 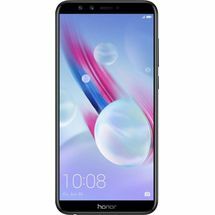 From capturing enchanting pictures with the dual rear-camera setup and an amazing 20 MP front camera, to watching videos and playing games on the FHD+ display, this smartphone ensures you never have a dull moment again. 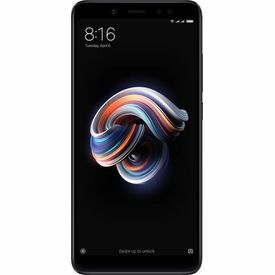 4 GB RAM | 64 GB ROM | Expandable Upto 128 GB 5.99 inch Full HD+ Display 12MP + 5MP Dual Rear Camera | 20MP Front Camera 4000 mAh Li Polymer Battery Qualcomm Snapdragon 636 Processor Product Description Meet the Redmi Note 5 Pro - the elegantly designed smartphone that comes with a powerful Snapdragon 636 processor, which outperforms its predecessor by up to 40%. From capturing enchanting pictures with the dual rear-camera setup and an amazing 20 MP front camera, to watching videos and playing games on the FHD+ display, this smartphone ensures you never have a dull moment again. Say Cheese The large pixel-size (1.25 micrometre) of the dual rear camera (12 MP + 5 MP) lets you take stunning images even in low-lighting conditions. Thanks to high-quality Sony and Samsung sensors, the Note 5 Pro’s camera stands out from the crowd by offering a depth of field that’s not available on conventional smartphone cameras. Selfie Camera Take display-picture-worthy selfies effortlessly, thanks to the 20 MP front camera. The Sony sensor coupled with a 4500K Selfie-light provides bright colours, sharp images, and a naturally improved complexion, even in low-light conditions. 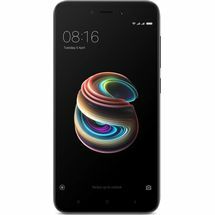 Beautify 4.0 Optimised for India Thanks to AI-based technology, this smartphone helps to instantly identify facial features and provides natural enhancements such as shaping and toning. Apart from features such as AI-based selfies and AI group shots, it also retains your original look by preserving subtle details such as your bindi or beard. 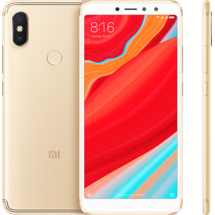 Your Face is the Password Simply looking at the Redmi Note 5 is all you need to do to unlock it. With the Face Unlock feature, the phone automatically recognizes your face and unlocks itself, in a matter of about 0.2 seconds after you turn on the screen. Powerful Performance Powered by a 1.8 GHz octa-core Snapdragon 636 processor and the Adreno 509 GPU, this phone runs your apps and games seamlessly. This processor implements Kryo architecture which provides an improved performance and impressive power-efficiency. 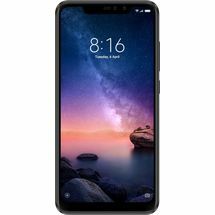 18:9 Full-screen Display The 15.2-cm (5.99) FHD+ display takes your visual experience to the next level. Enjoy watching videos and playing games on this display which uses an 18:9 aspect ratio. 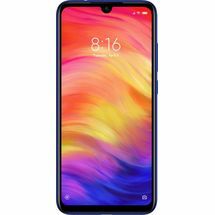 Compared to the conventional 16:9 ratio format, this phone’s increased aspect ratio provides a wider field-of-view, giving you a competitive edge while gaming. Durable Apart from providing an incredible look and feel, the 2.5D curved Corning Gorilla Glass display is resistant to wear, making it highly durable. Reinforced Corners Specially designed to spread corner-impacts, they prevent damage to the screen, increasing durability and longevity. Special Thermal Design By including a dual graphene sheet, the device-temperature is reduced when the phone’s functioning, which improves the overall performance. Big on Battery Keep the fun going on for a long period, thanks to the high-capacity 4000 mAh battery. It offers up to 14 hours of video playback, 8.5 hours of gaming, or 19 days of standby time. Fluid Experience Enjoy a fast and fluid smartphone experience, thanks to 4 GB of LPDDR4X RAM and the MIUI 9 user interface. Hybrid Slot You can choose to use two SIM cards simultaneously or use one SIM card and a micro SD card as per your preference. Storage Capacity You can store all your photos, music, and videos, thanks to 64 GB of internal memory which can be expandable up to 128 GB.